Game of Thrones is getting the 8-bit treatment, courtesy of Spanish comic artist and developer Abel Alves. Game of Thrones: The 8 bit Game is a freeware 8 bit videogame in the purest style that you could find in the NES. 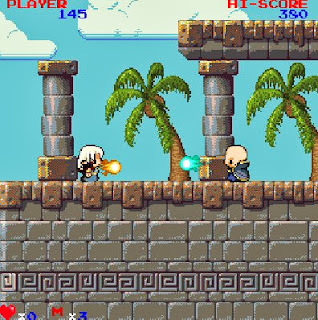 In this game you'll be able to play as 4 characters of the acclaimed novel and TV show, each one capable of executing different attacks and special abilities. There are 4 levels to explore in a platformer kind of way, each level based on different parts of the novel.